New Standard Hygrade carburetor rebuild kit. Kit is for Rochester Quadrajet carburetor M4MC (4 bbl, manual choke). 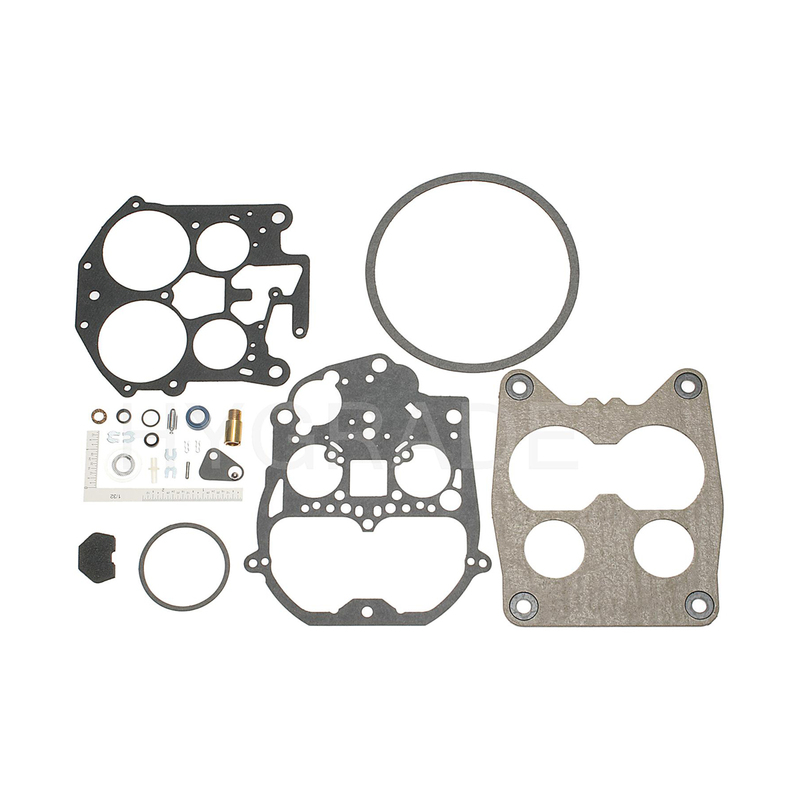 Carburetor rebuild kit includes small soft parts, seals and gaskets necessary to rebuild a factory carburetor. Includes complete gasket set, needle and seat. Carburetor kit does not include hard parts, such as jets, metering rods, bushings, choke, linkages, float, diaphragms, etc, all of those components mush be reused. It is extremely important that check your existing carburetor # on the side of your carburetor and match it up to the compatible carburetors listed below, your carburetor may have been changed at one time!